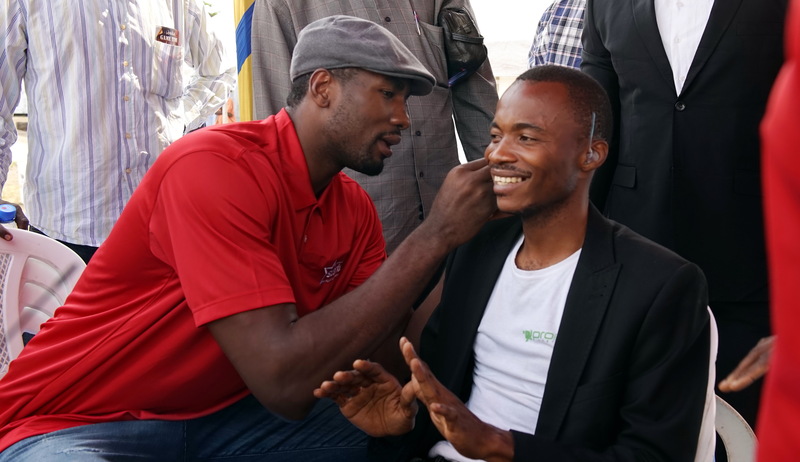 As new Global Citizen ambassador and advocate for heath, Serge Ibaka attended the Global Citizen Festival at Central Park in New York. 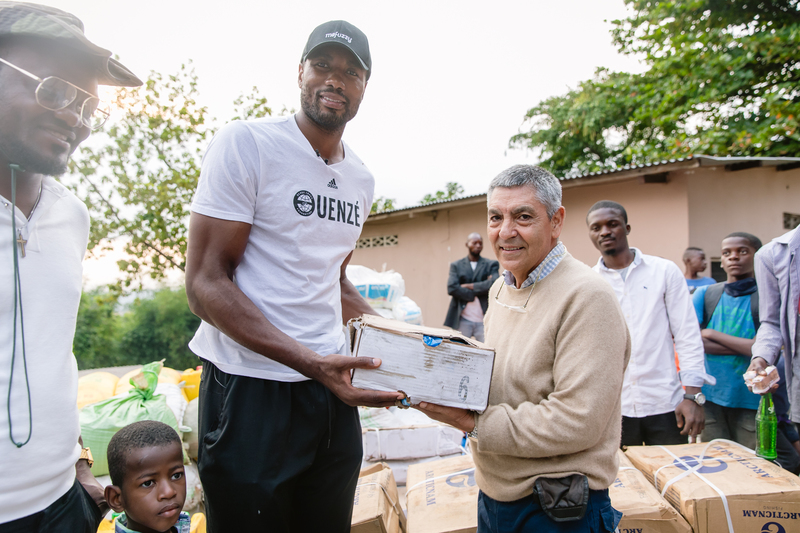 Serge represented the Serge Ibaka Foundation and talked about the projects in Congo and the need to raise awareness on health issues in Congo, Africa and the World. 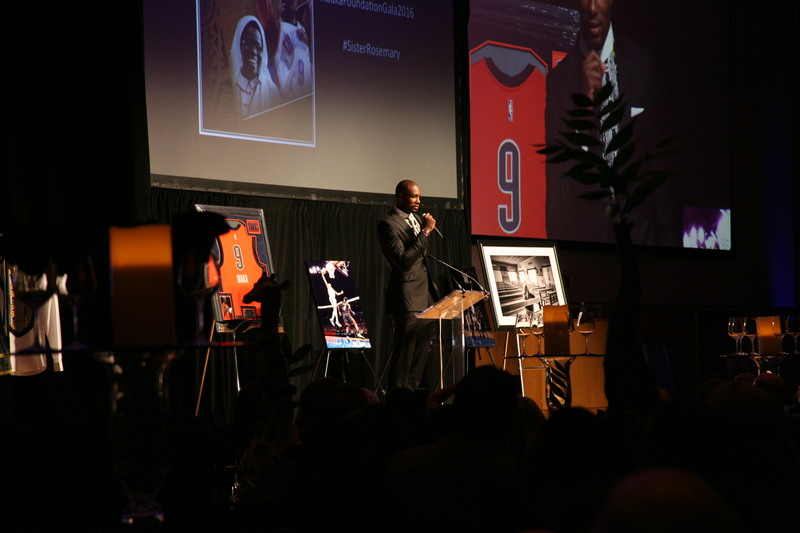 His powerful and heartfelt speech reminded us that everybody can contribute in changing the world.  During the week leading to the Festival, Serge met with Global Citizen Founder Hugh Evans and other health advocates, starting a partnership that aims to have a big and lasting impact. 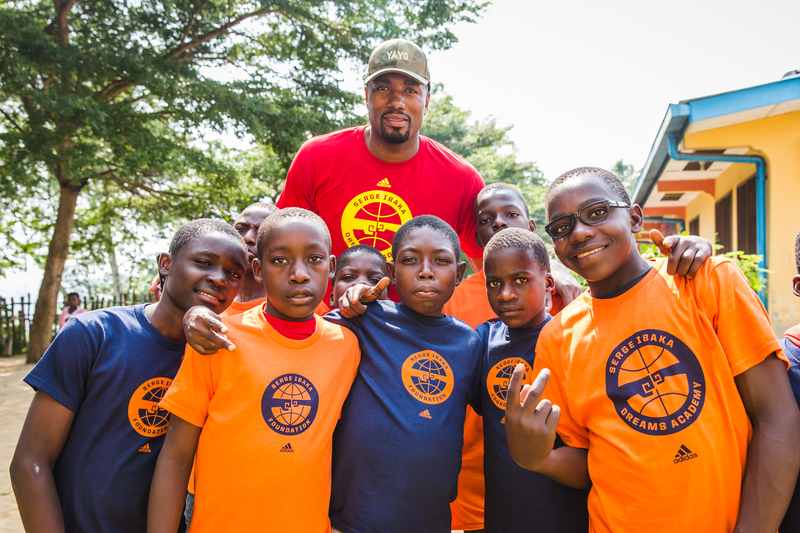 Connecting with the congolese youth and inspiring them, and celebrating congolese culture using basketball and music. 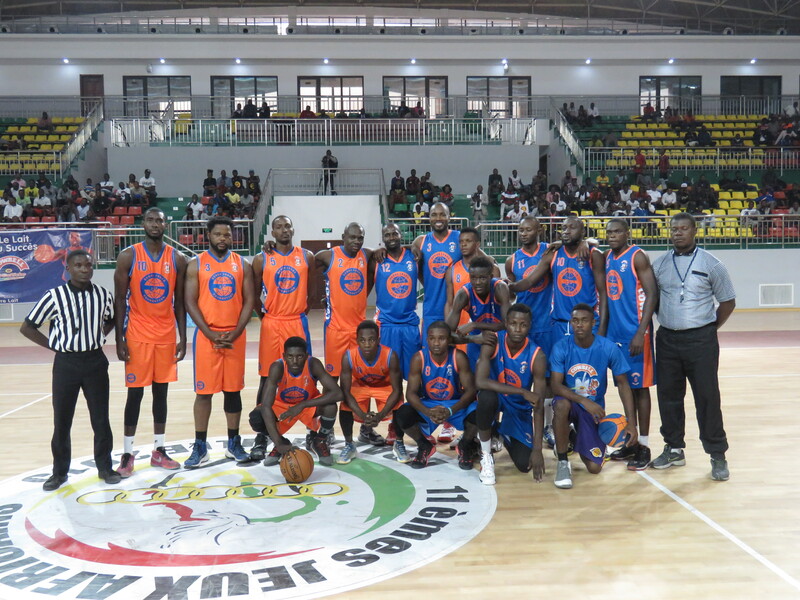 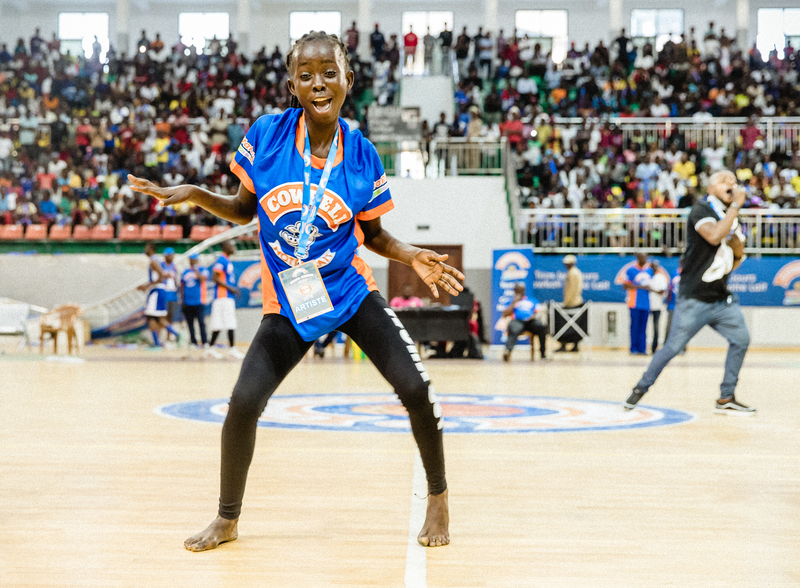 Those are the goals of the Ibaka Games, which were held for the fourth straight year in Brazzaville, Republic of Congo’s capital and Serge Ibaka’s hometown. 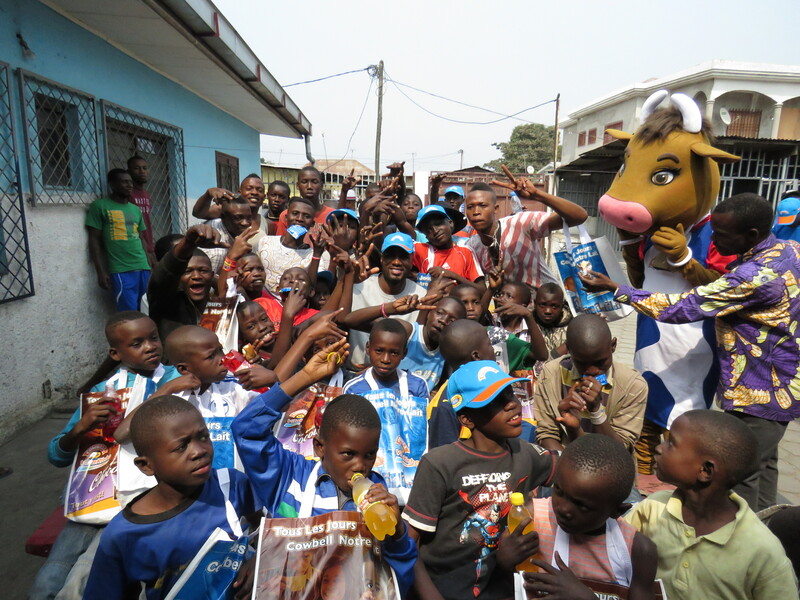 In partnership with Cowbell Milk, the event hosted boys and girls from three to eighteen years old and public from all ages. 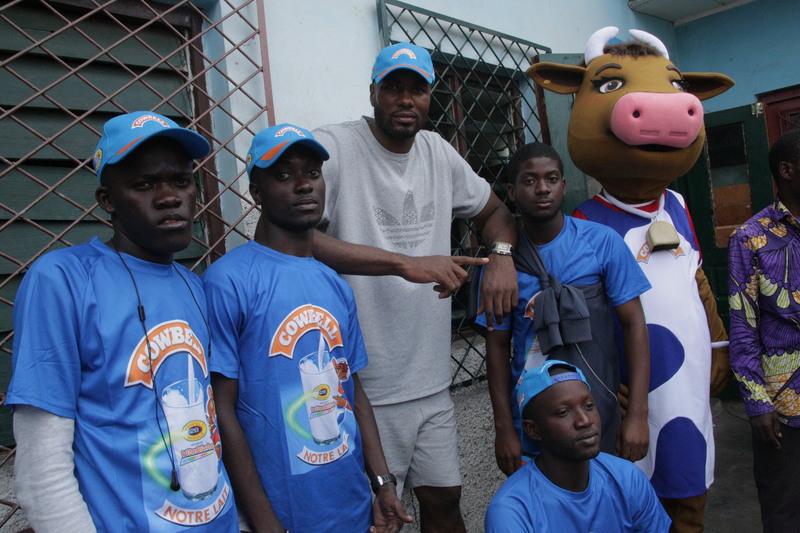 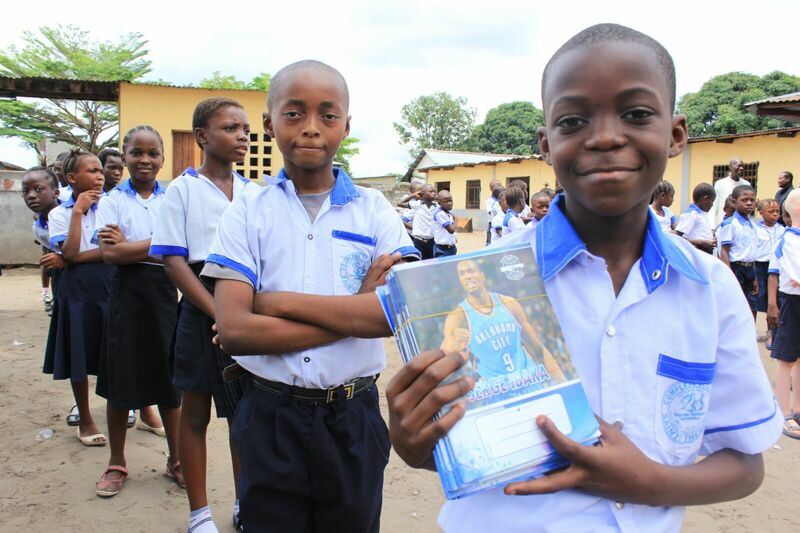 For the second straight year Cowbell Milk was our partner in Brazzaville, Serge Ibaka’s hometown and the capital of the Republic of Congo. 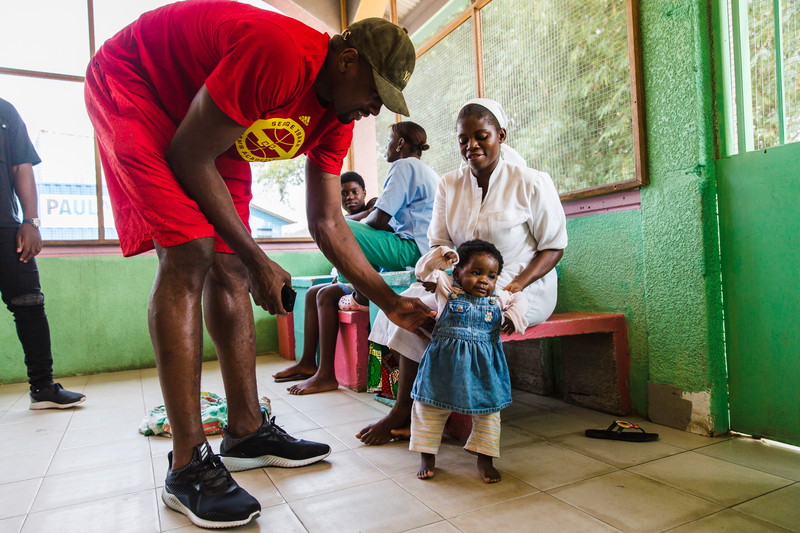 The partnership is solidified and growing, and the charitable plan put together is having a major impact during the whole year. 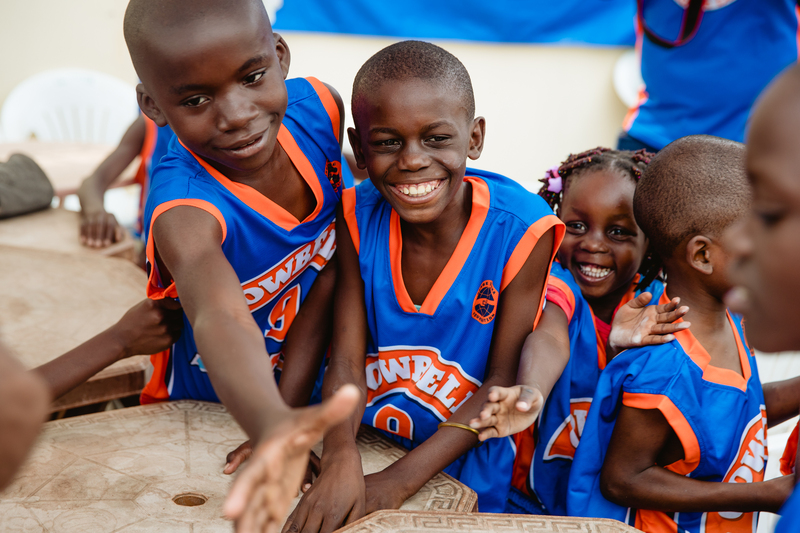 Working closely with orphanages and youth centers, the partnership provides dairy products on a monthly basis, satisfying a basic need for the children living in these institutions. 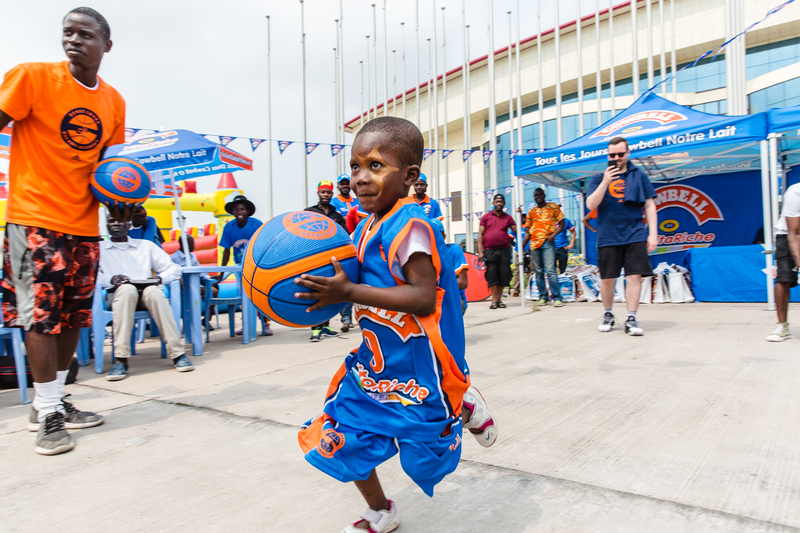 The Kimbondo Pediatrics, Orphanage and Hospital in Kinshasa, Democratic Republic of Congo, has a special place in the Foundation’s heart. 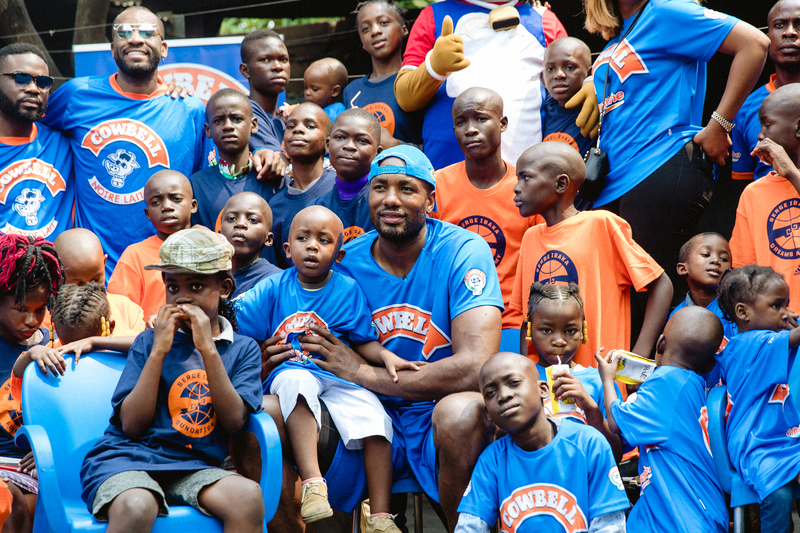 The connection that was made in the summer of 2014 with Father Hugo, his staff of nurses and collaborators and, specially the almost a thousand boys and girls that live there, made a lasting impression. 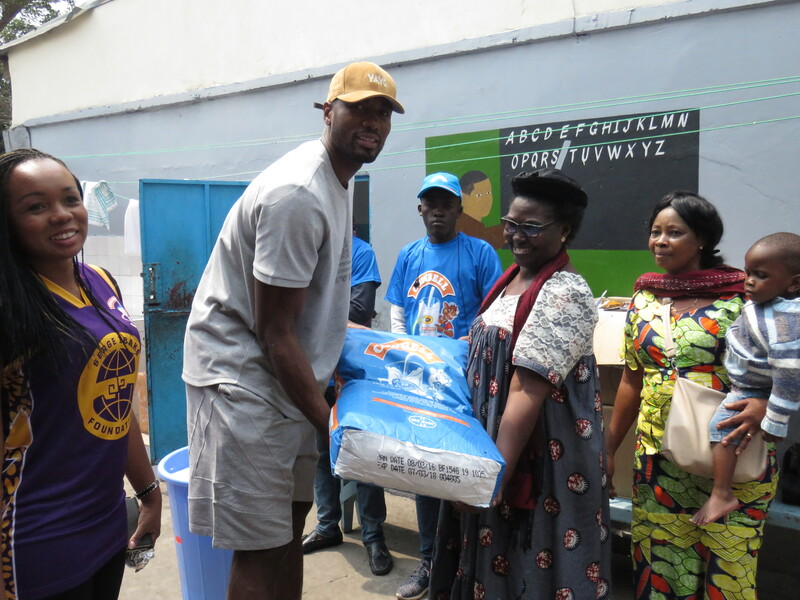 This is why for the fourth year the Foundation collaborated with Kimbondo. 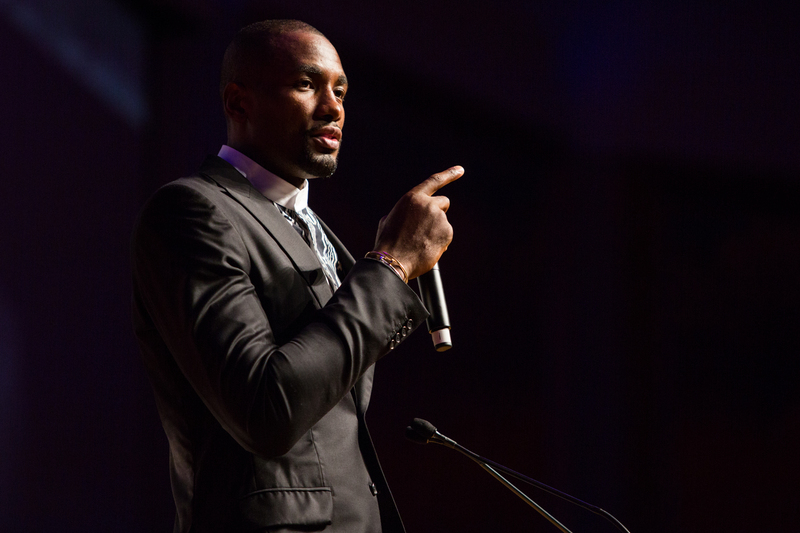 The NBPA Foundation, the charitable arm of the National Basketball Players’ Association (NBPA), welcomed Serge Ibaka to its Board of Directors this month. 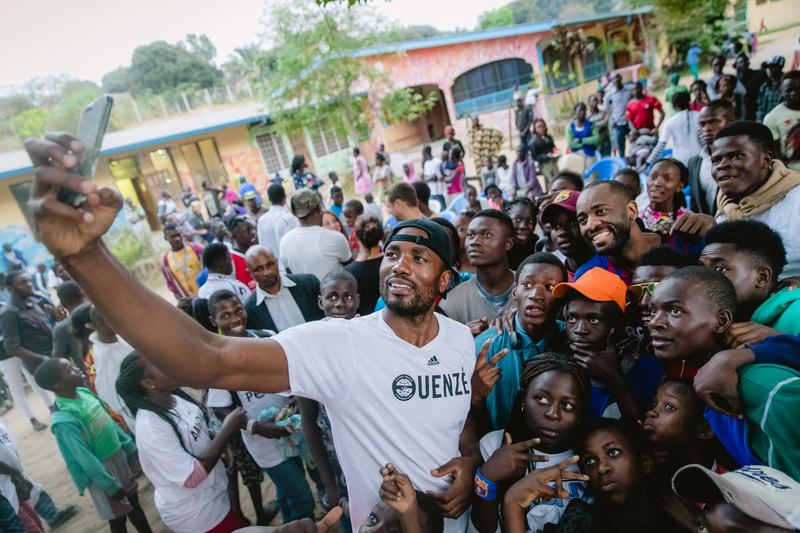 According to the NBPA Foundation, the appointment highlights Ibaka’s personal journey as one that has inspired many players and others while it also speaks directly to the philanthropic role of sports in society. 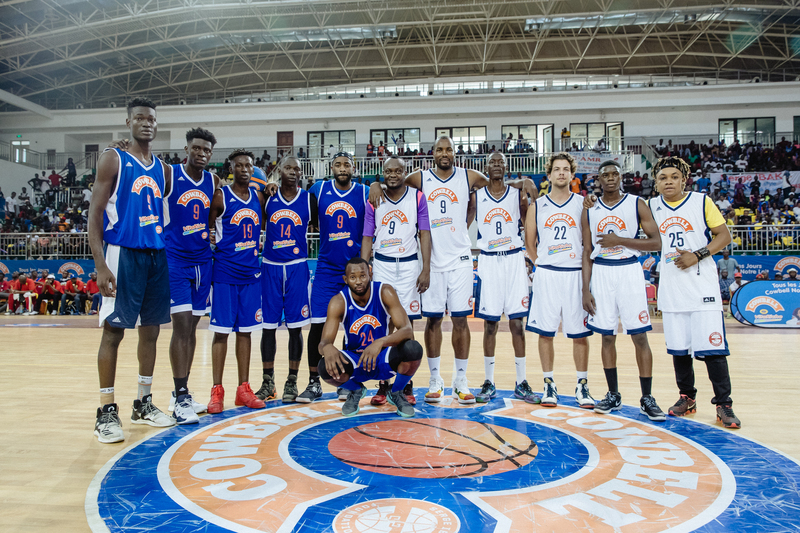 New team, new city, new community. 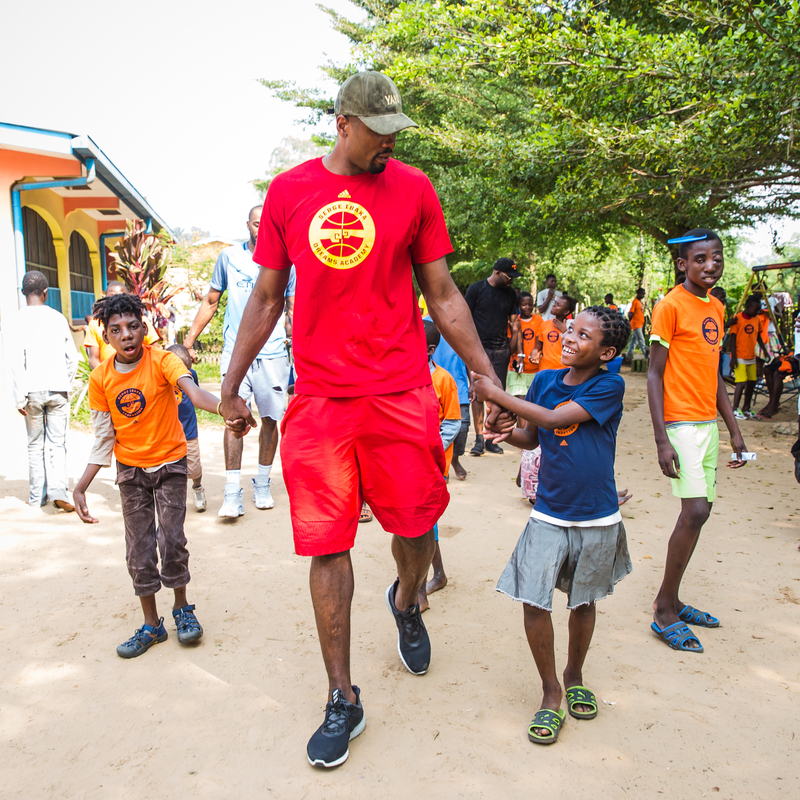 But the goal of giving back stays the same. 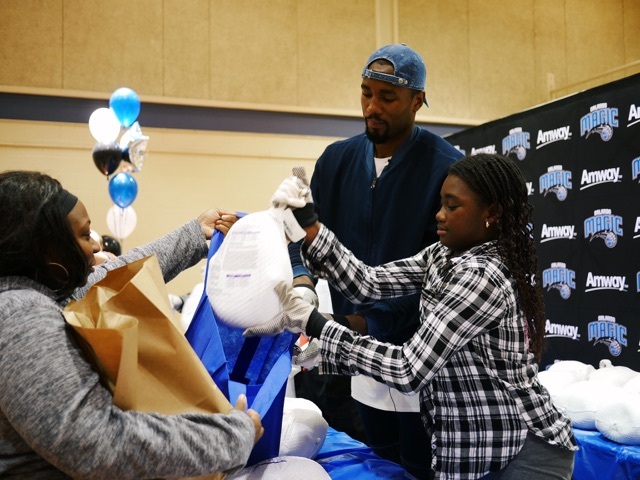 Right before Thanksgiving, we partnered up with the Orlando Magic and Amway to give away 450 turkeys and Thanksgiving meals to Orlando families. 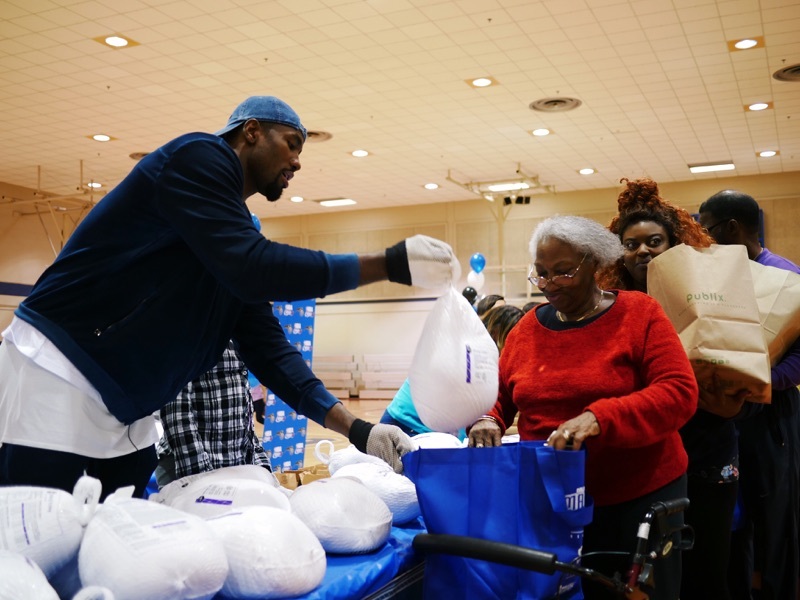 Serge Ibaka delivered the turkeys personally and took time to meet with some of the families. 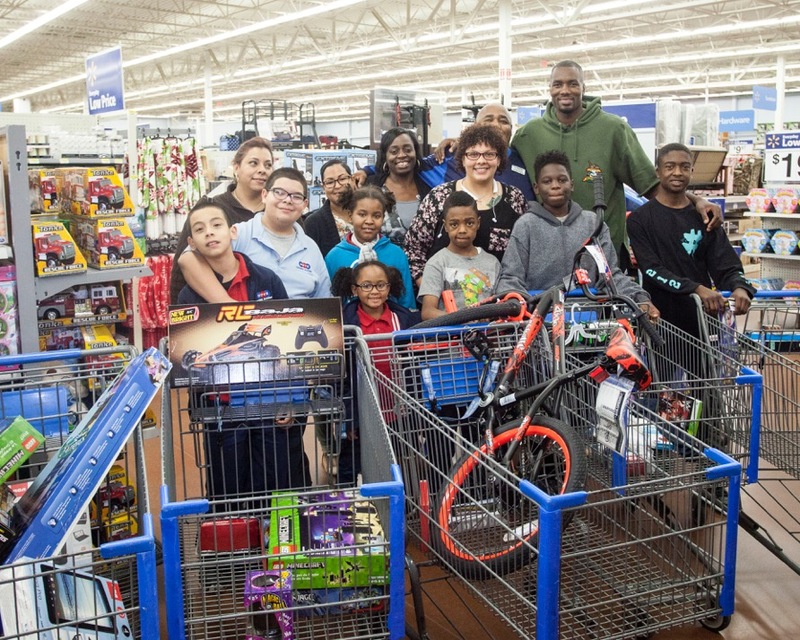 “Thanksgiving is about giving back and I felt like we had to do something in my new community. 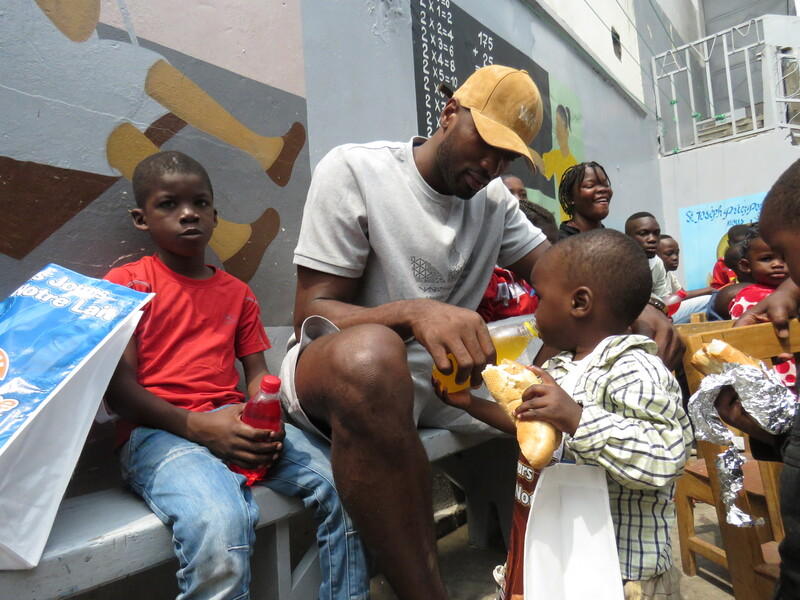 Sometimes a gesture like this can bring a family together or help a family enjoy a holiday so it’s always worth it to give a hand”, said Serge. 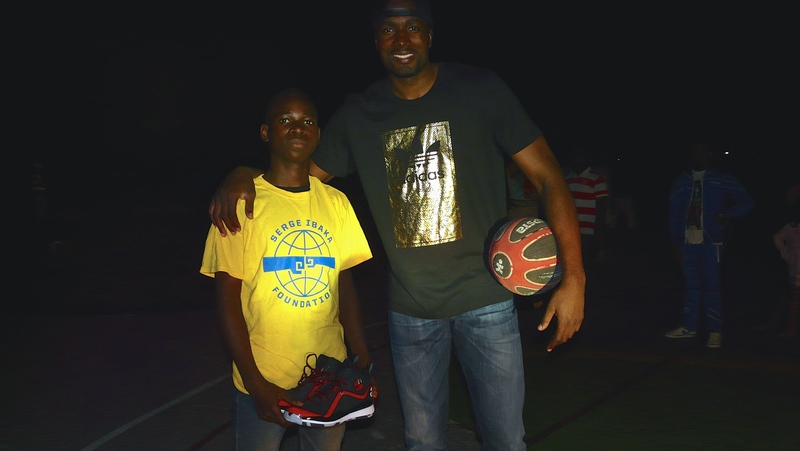 Playing for the first time at the Makelékélé gymnasium in his hometown of Brazzaville was a dream for Serge Ibaka. 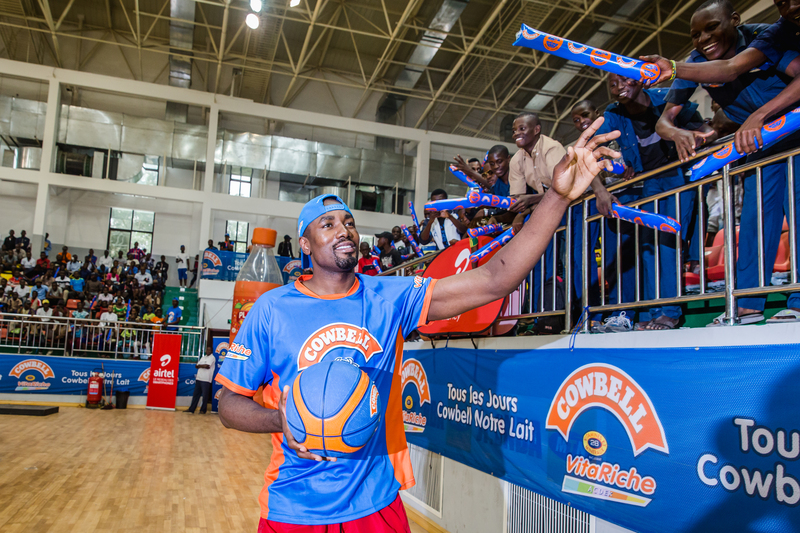 Partnering with Cowbell, the first Cowbell Ibaka games took place in the summer of 2016. 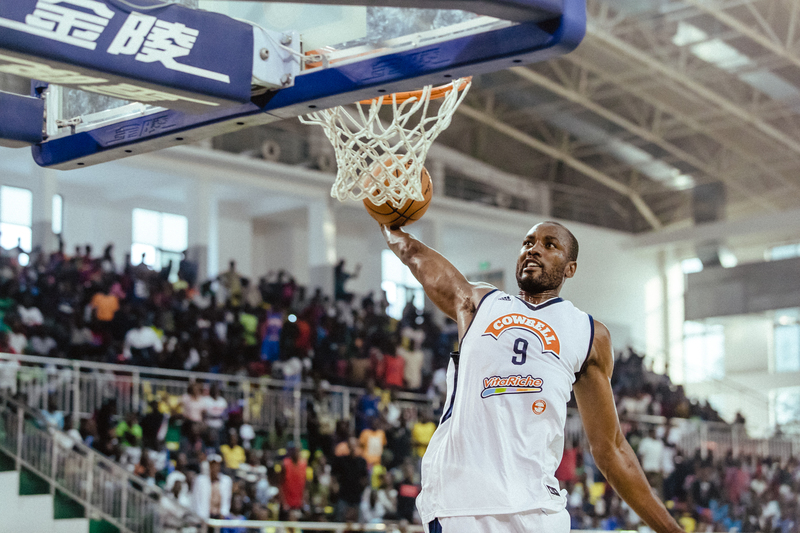 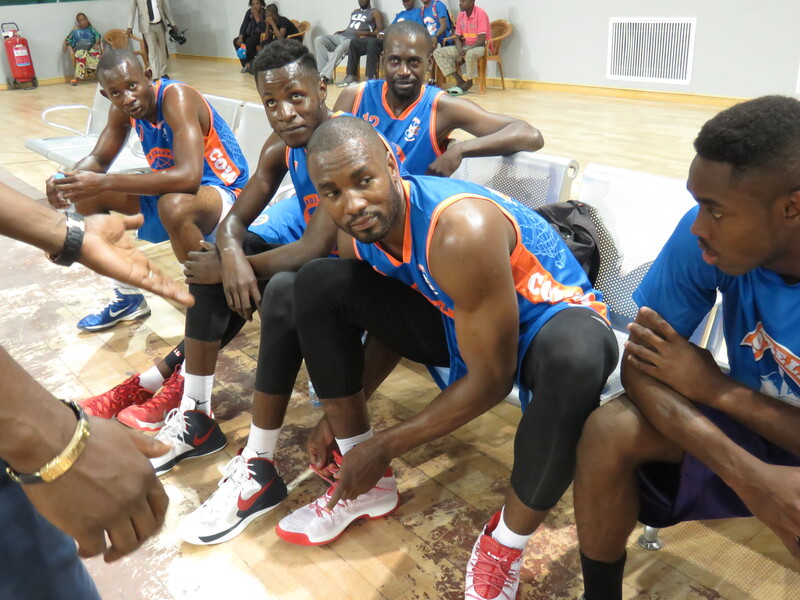 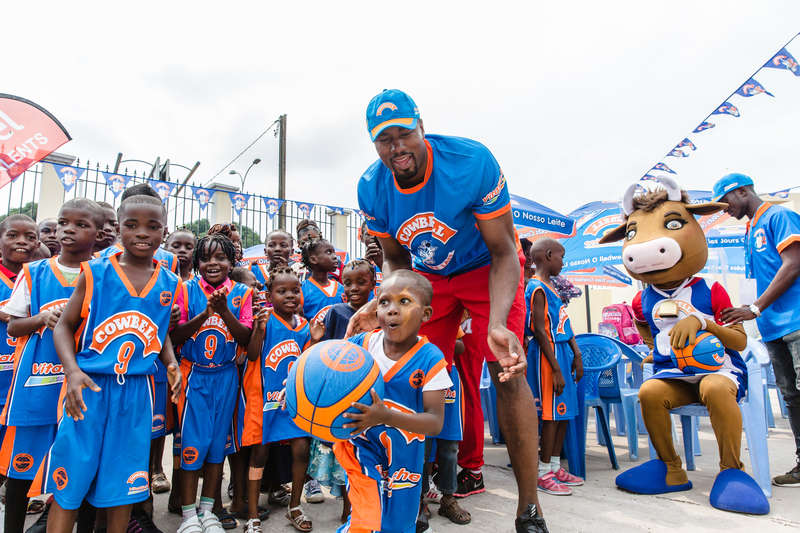 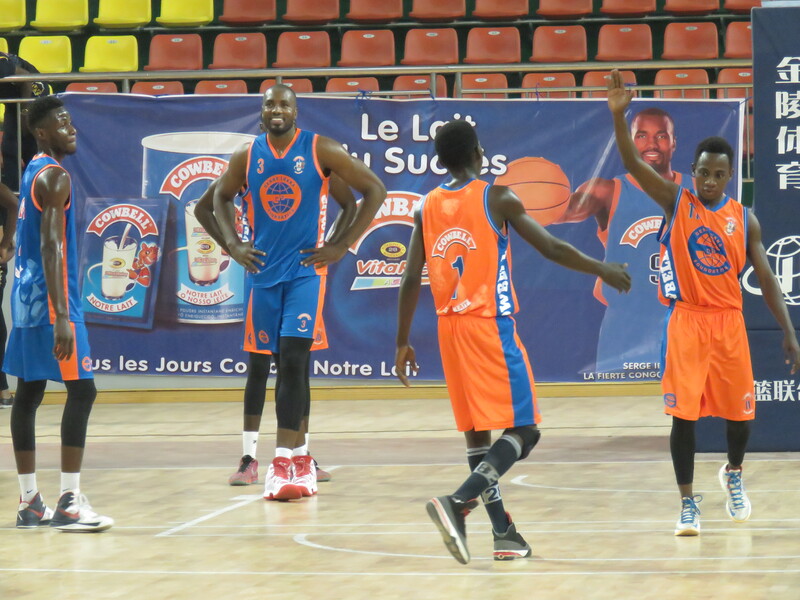 From early in the morning to late in the afternoon, basketball fans and neighbors of Brazzaville had the chance to participate in different activities and to see Serge play in person for the first time. 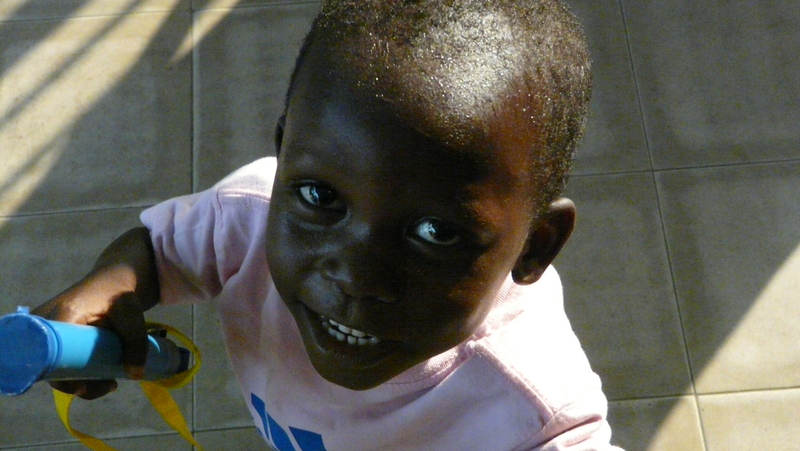 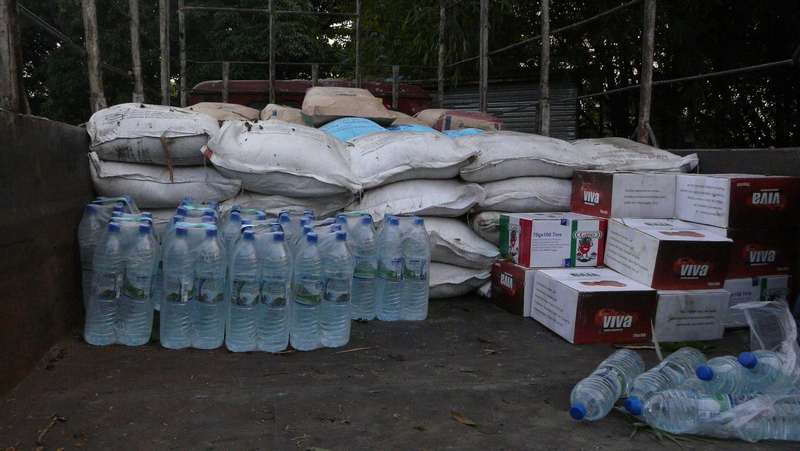 During the summer we went back to some of the orphanages we work with in Brazzaville, Republic of the Congo. 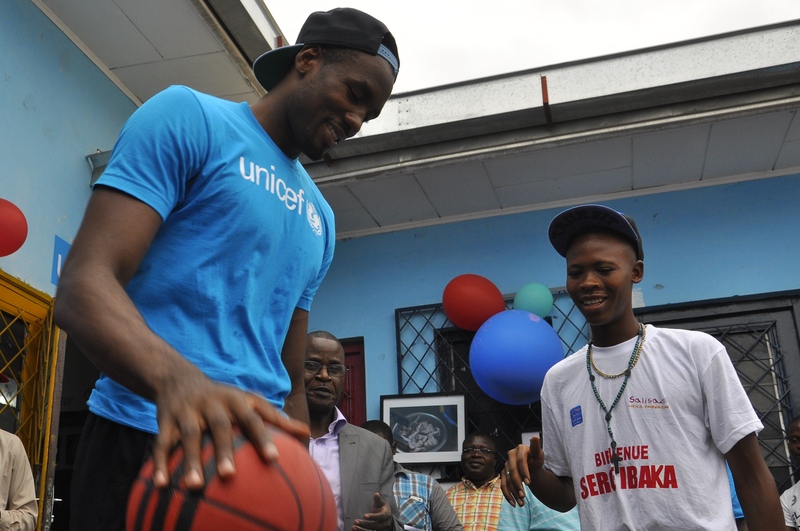 At the St Joseph orphanage the kids welcomed Serge Ibaka and the Foundation with joy and music. 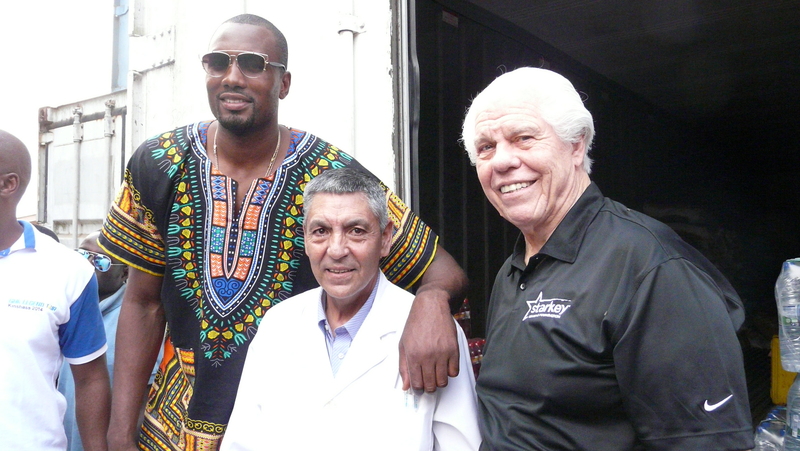 At the Space Jarrot, we were able to see first hand the improvements in their facilities. 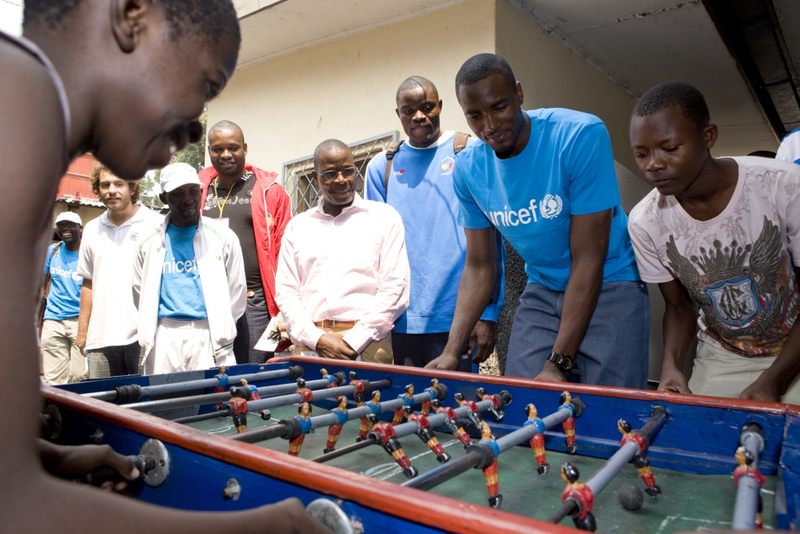 The investment by the Foundation at Space Jarrot started in 2012 in a project with Unicef. 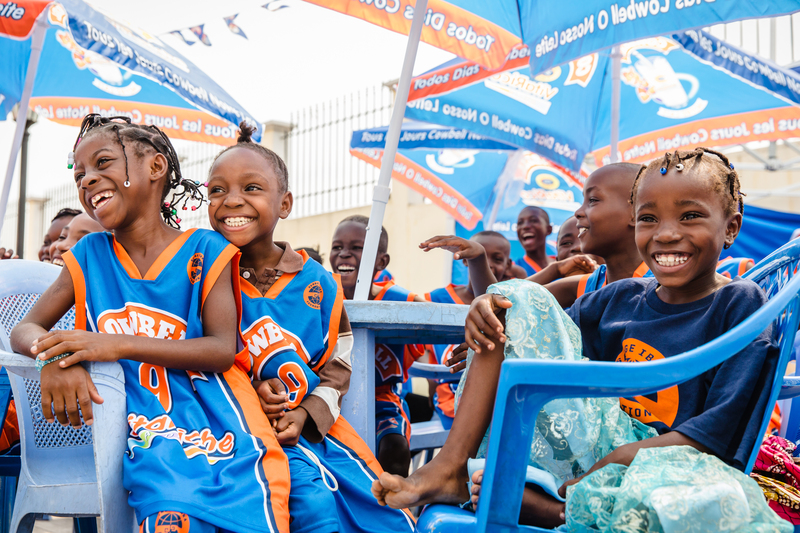 This summer, the management was happy to show the improvements, including two potable water tanks, a new floor in the whole premises, a new kitchen and a new office. 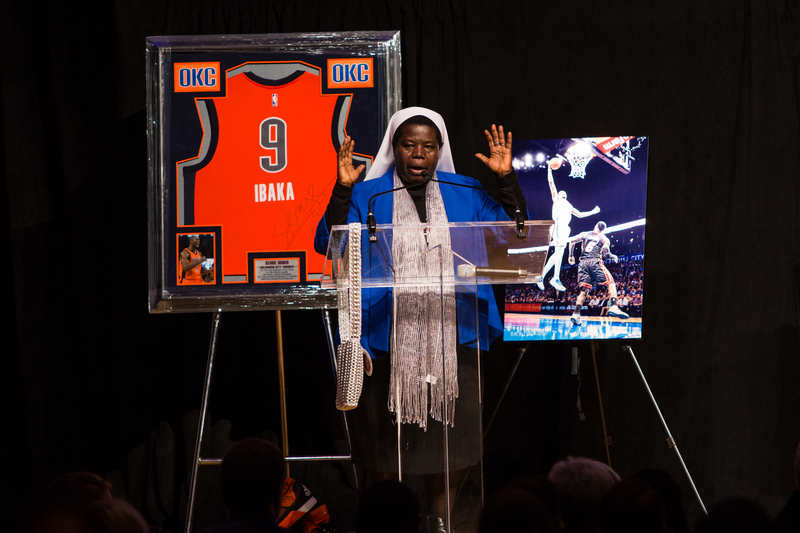 The National Cowboy & Western Heritage Museum hosted the fourth anual Serge Ibaka Foundation Charity Gala benefiting the Foundation and Sister Rosemary Nyirumbe’s Sewing for Hope Foundation. 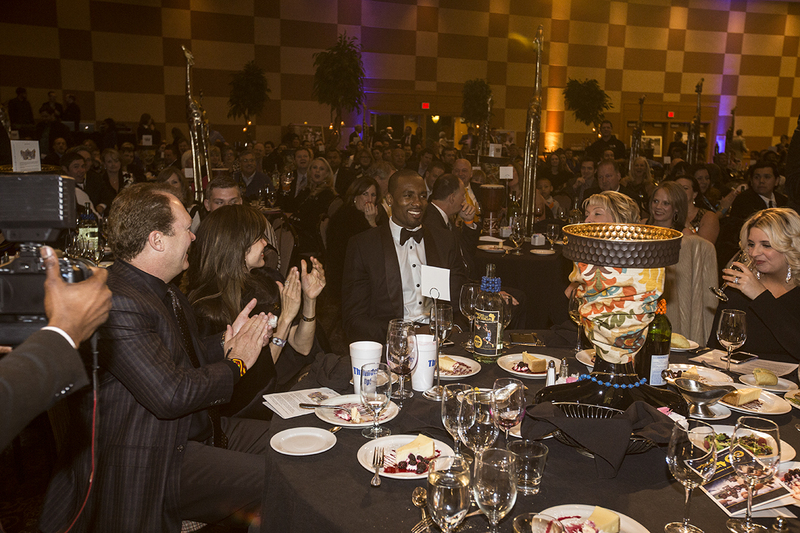 The Gala gathered 700 hundred people from Oklahoma and other parts of the country and the World, including Sister Rosemary that came all the way from Uganda. 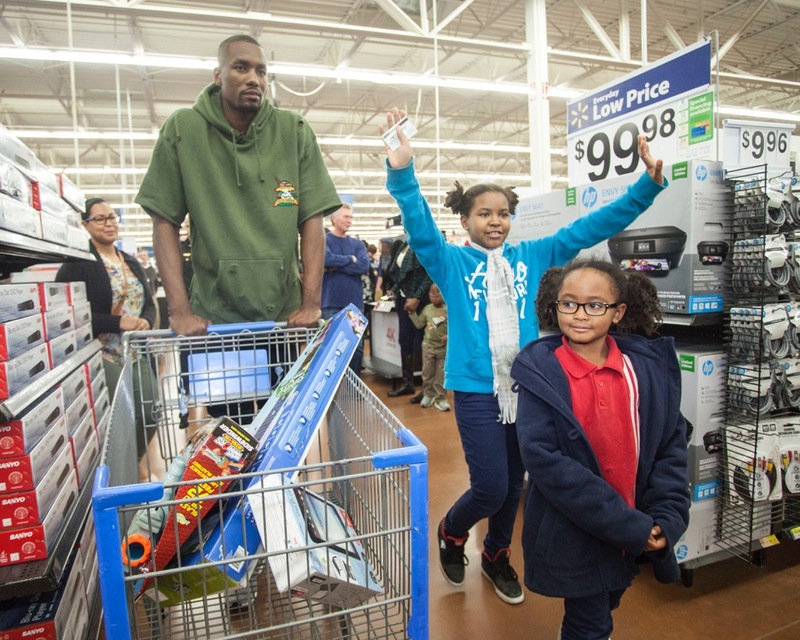 Serge Ibaka surprised four Oklahoma City single mothers and their children with a shopping spree at a local Walmart. 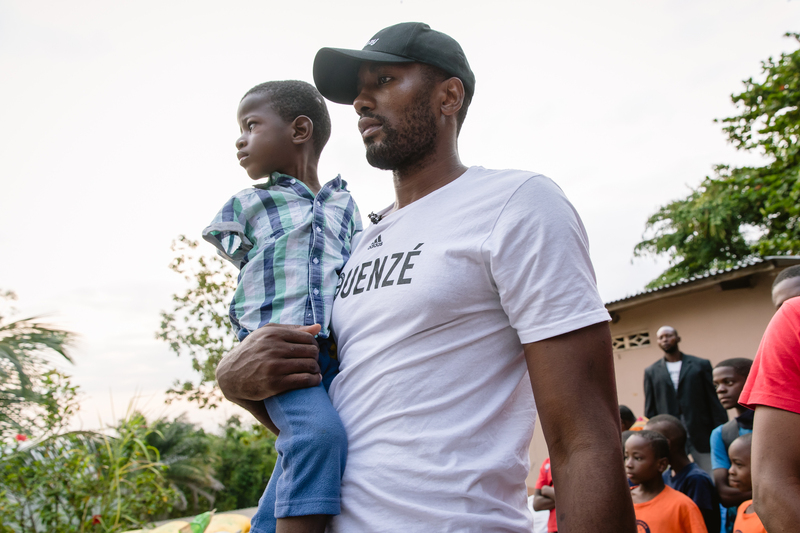 Serge understands what it’s like growing up in a single parent home and has a big attachment to a community that has embraced him since the year 2009. 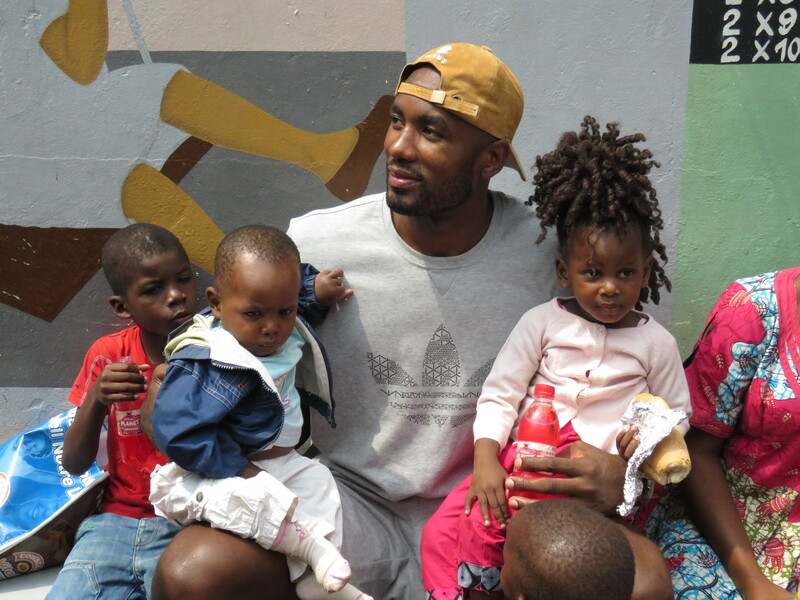 Serge also blessed the moms with gift cards and acknowledged how difficult it is to raise kids alone. 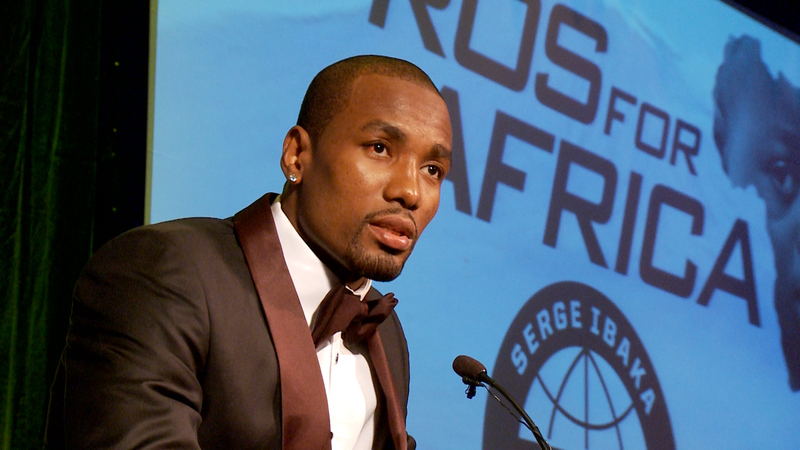 In the 2015 documentary “Son of the Congo”, filmed during the summer of 2014, Serge Ibaka encounters a young congolese basketball player named Ricardo. 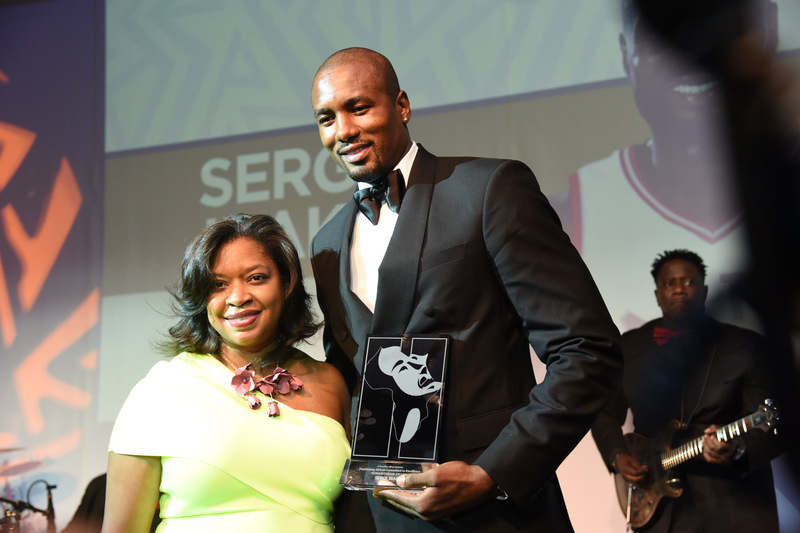 Serge becomes Ricardo’s role model and inspiration, and gives him a powerful piece of advice: “don’t let anyone tell you that you can’t make your dreams come true. 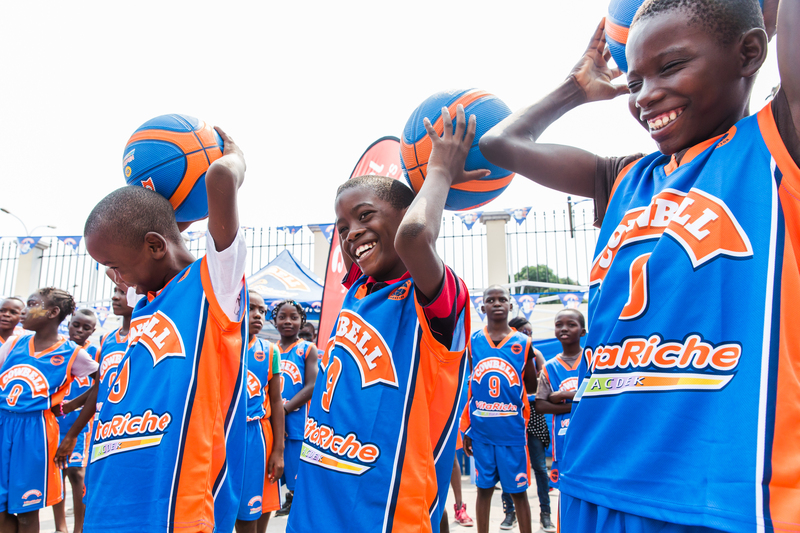 Anything is possible”. 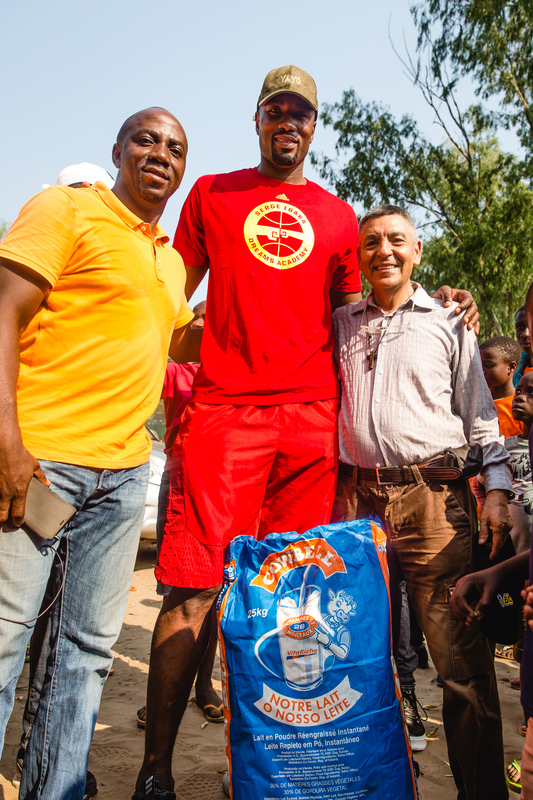 Ricardo took this message to heart, and one year later, in the summer of 2015, the two reunited and shared specials moments in Brazzaville, their shared hometown. 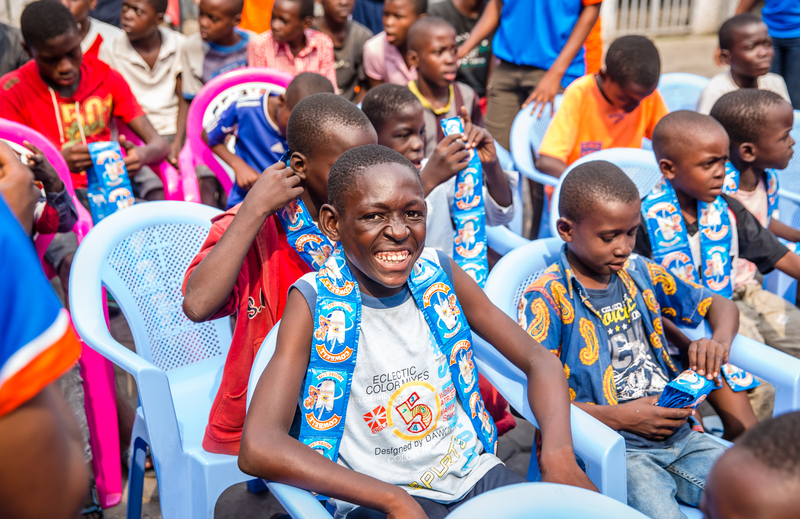 Located in the district of Kimbondo on Mont-Ngafula in Kinshasa, the capital of the Democratic Republic of the Congo (DRC), Kimbondo Pediatrics, Orphanage and Hospital is home to more than 800 orphans who have received a second chance. 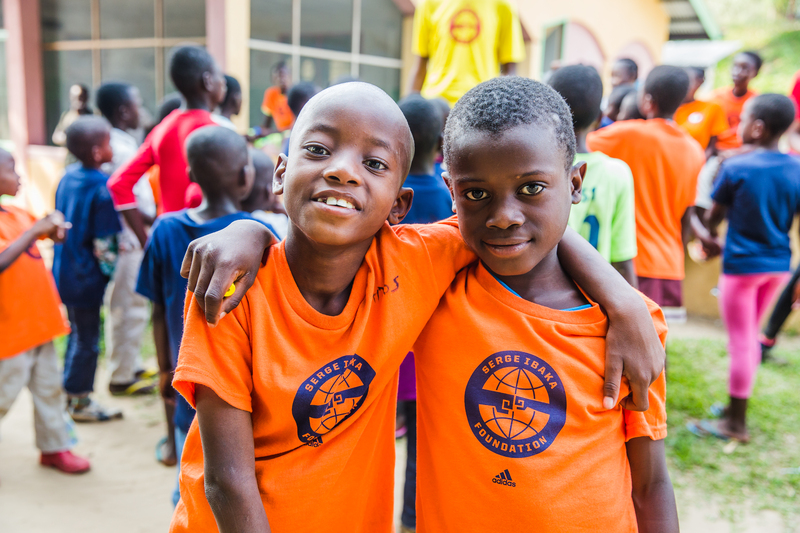 Created in 1989, the Pediatric exists to take sick children, abandoned, orphaned, deprived of livelihood, in order to give them medical care and education. 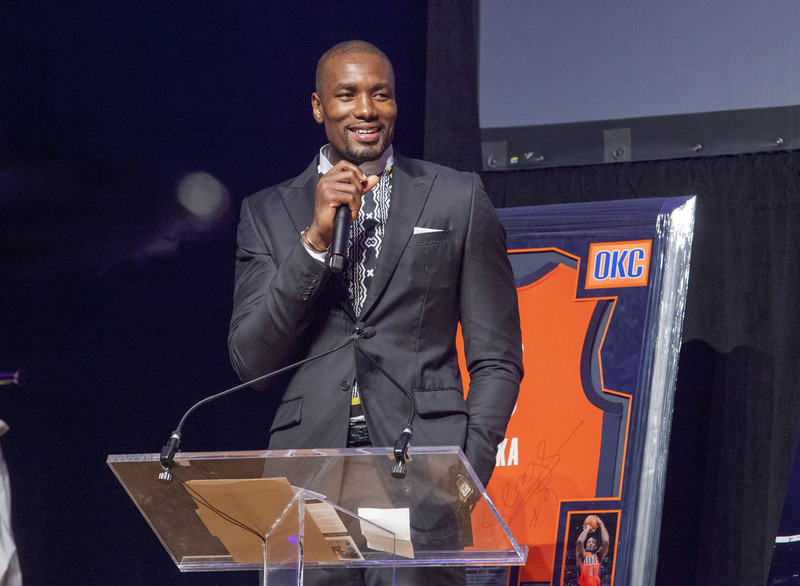 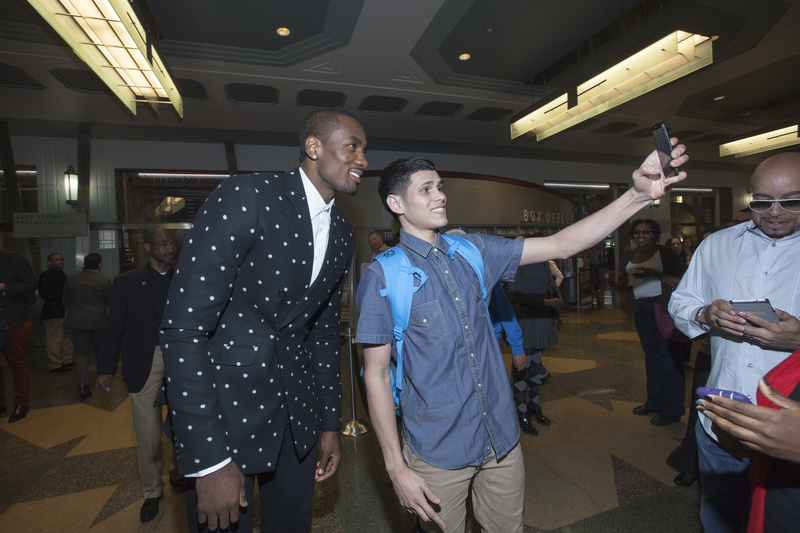 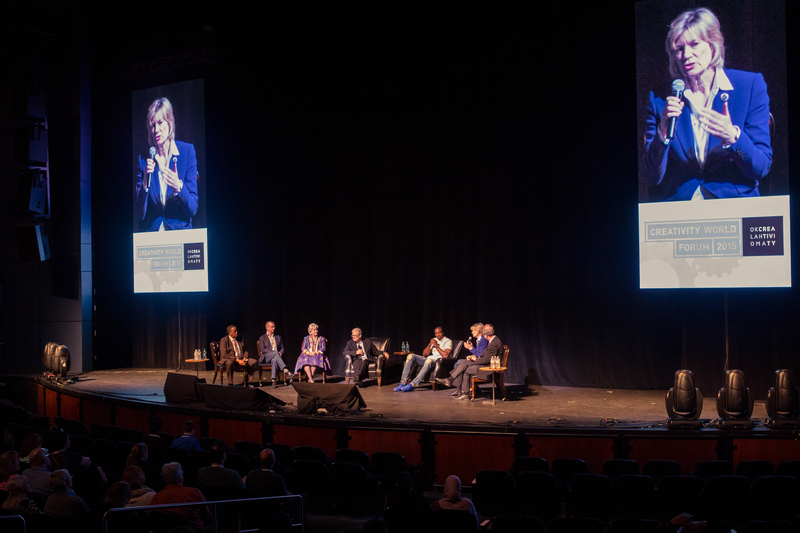 On March 31st Serge Ibaka was the invited guest to close the Creativity World Forum 2015 held in Oklahoma City. 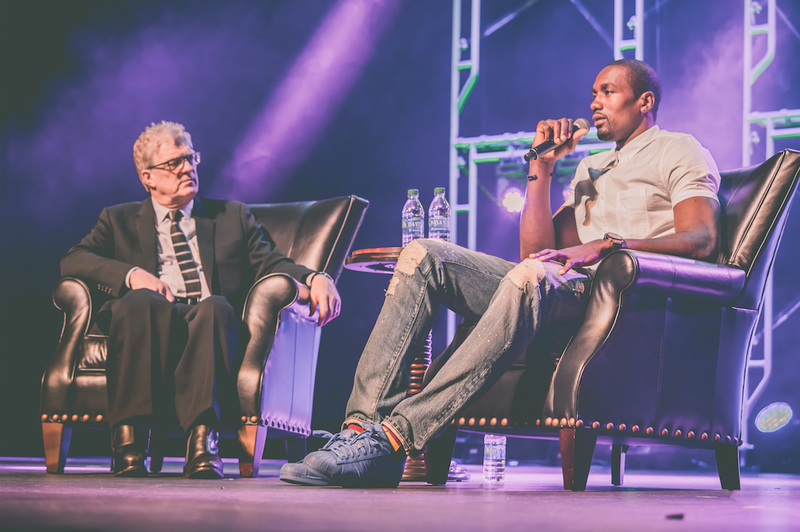 Serge was interviewed by Sir Kir Robinson and shared his story and his motivations with a 1500 people audience that was able to watch the ‘Son of the Congo’ documentary trailer before the interview. 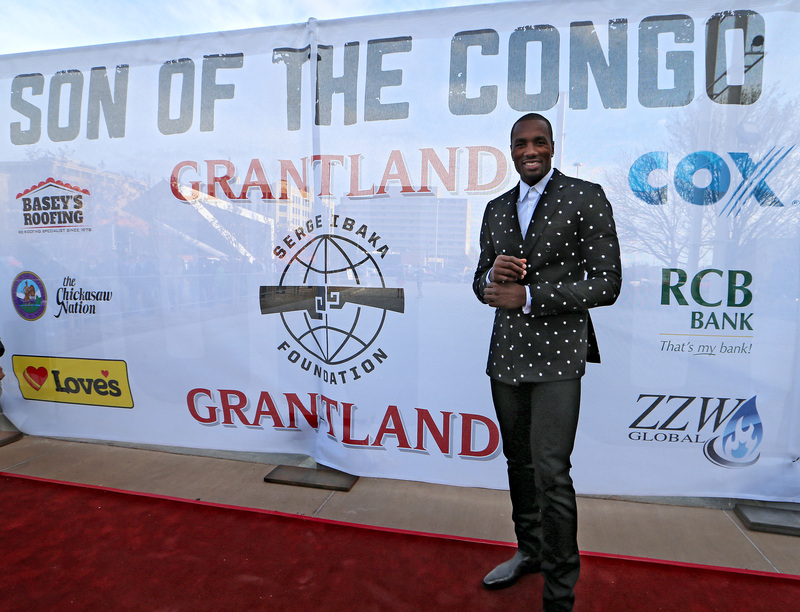 On March 21st, Oklahoma City hosted the ‘Son of the Congo’ Premiere at the city’s Civic Center. 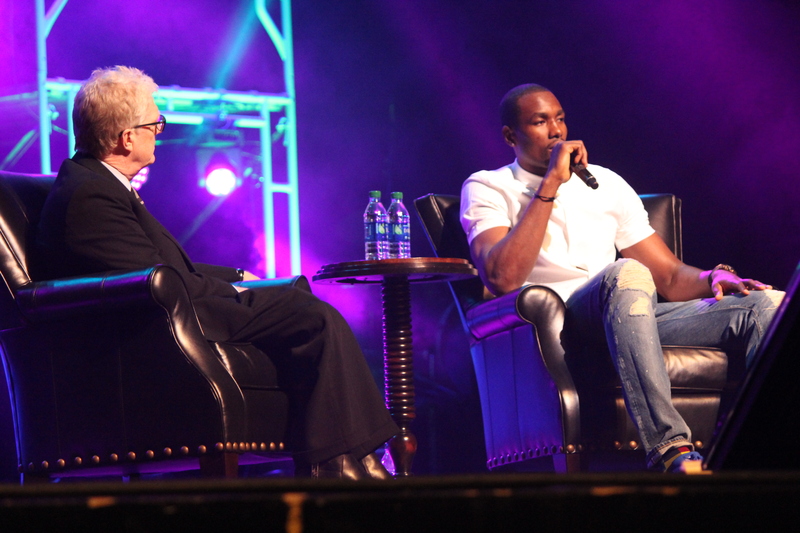 More than 1.500 people, including mayor Mick Cornett, Thunder teammates, fans and employees, where in attendance and the film was warmly received. 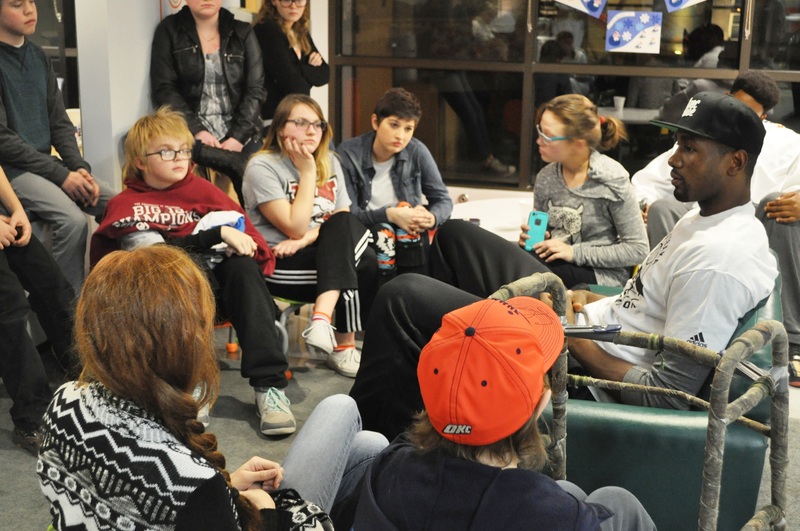 A large representation of kids from the ‘Surge: teen group’ Program with the OU Children’s Hospital where in attendance, too. 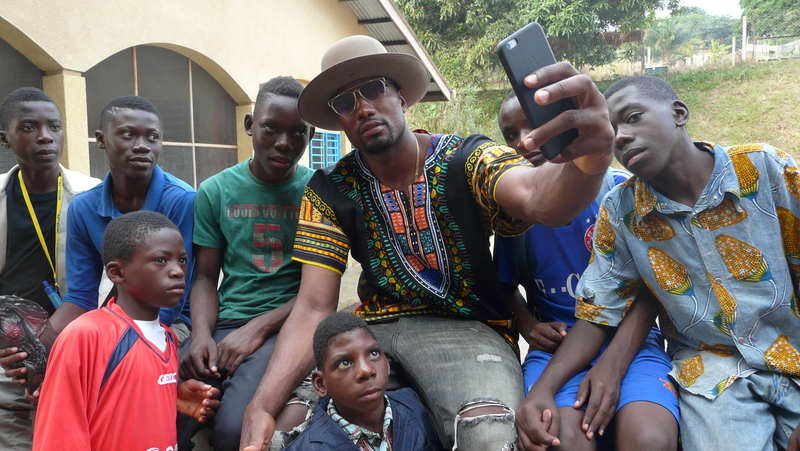 The kids walked the red carpet with Serge and where inspired but the 55 minute film. 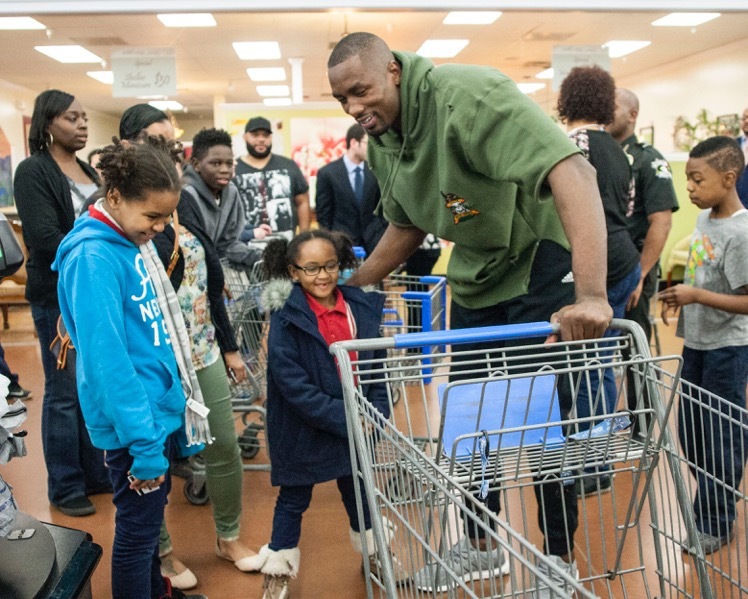 After a long day of practice, Ibaka took a needy family on one of the Thunder’s annual Homeland Shopping Sprees in Edmond, then went back downtown to the OU Children’s Hospital. 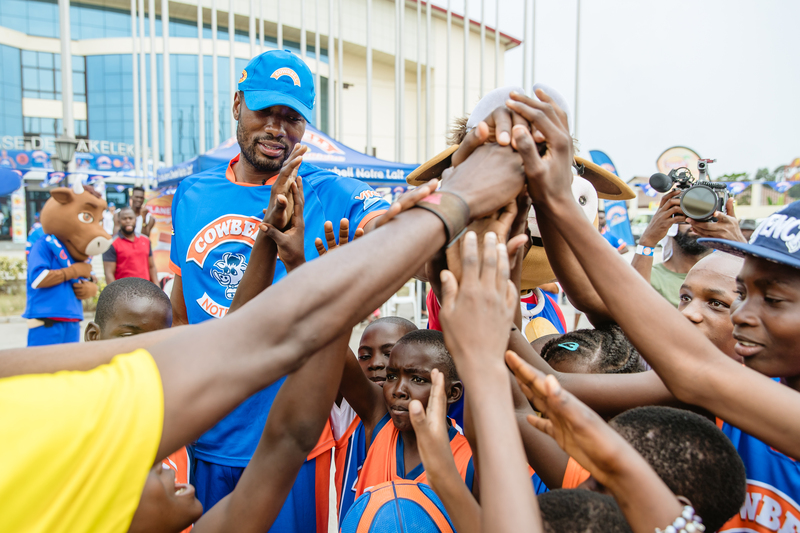 Over the years in Oklahoma City, Ibaka has spent time there with children who are dealing with potentially terminal illnesses through events with the Thunder.